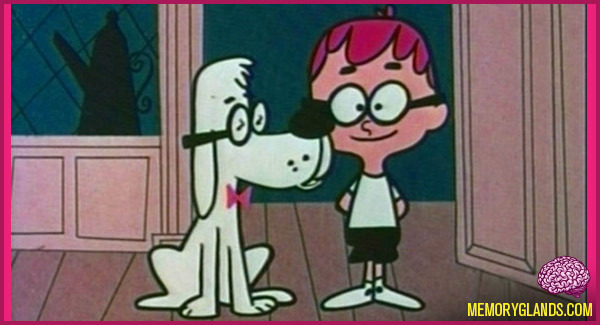 Mister Peabody always appears in cartoon segments accompanied by “his boy” Sherman (in a twist on the hackneyed concept of “a boy and his dog”). Hector Peabody is a genius who adopted Sherman for company. Sherman is a naive but fairly bright, inquisitive, earnest and energetic lad who’s always one step behind getting his friend’s dreadful puns. In appearance, Peabody is a small white dog with floppy ears. Sherman is always in need of having his hair combed. He wears a white tee-shirt and dark shorts. Each character wears a pair of oversized horn-rimmed glasses.